Welcome again to our monthly news spot featuring our awesome front of house manager, David Mash! Dave loves his job and has become a favourite among locals and regulars to 360Q. His Drink of the Month has been quite the hit with locals and this month he isn’t disappointing us either. “Refreshing and delicious, you could almost forget you are not on a tropical Island!” Dave says. 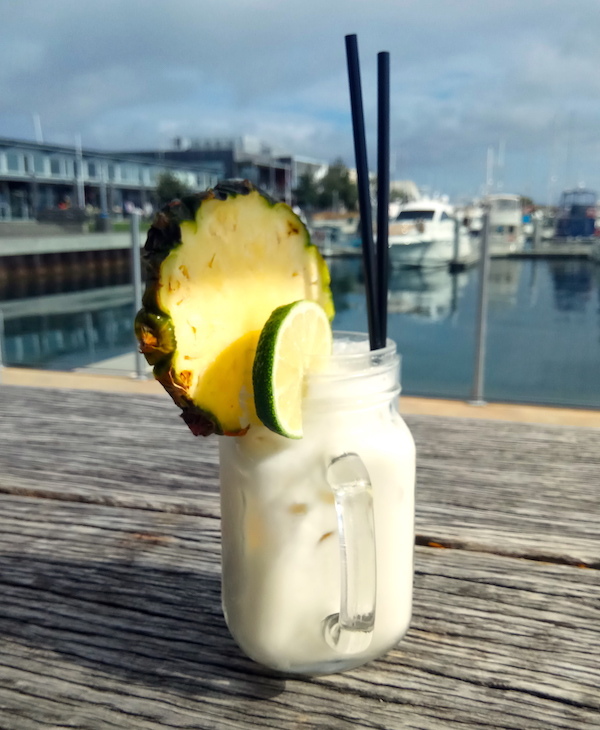 See below to make your own, oR drop in to 360Q and let us do the hard work while you sit and sip beside the beautiful Queenscliff Harbour. Add ingredients into cocktail shaker and add ice. Shake well and dump into large glass. Need a snack with your cocktail? Check out our summer menu for amazing options! 360Q is open seven days a week for breakfast and lunch and for dinner from Thursday to Sunday (check out our incredible Sunday Roast set menu special for $35). Book a table using our new online reservations system or call 5257 4200.